important a position than the all-powerful home secretary, at least for government officers and those who wish to join the government. After all, the DoPT or department of personnel and training, is the nodal ministry to formulate and monitor rules regarding recruitment, regulation of service conditions, posting, transfers, deputation of personnel etc. If the government is compared with a company, DoPT secretary is government's HR head. In other words, Sarkar is now government's chief human resources officer. That's not all. For the IAS officers working across the country, Sarkar will now be the big boss. After all, DoPT is the cadre controlling authority for the IAS and three Secretariat Services in the Central Secretariat. More importantly, it also operates the Central Staffing Scheme under which select IAS, IFS, IPS and other Group ‘A’ services officers are placed in posts on deputation at the level of deputy secretary, director and joint secretary, for a particular tenure. Also, the DoPT has some kind of say in appointment to posts of chairman, managing director, full-time functional director etc. of various public sector undertakings or enterprises, corporations, banks and financial institutions. Also, the Establishment Officer who comes under the DoPT secretary always serves as secretary to the PM-headed Appointments Committee of the Cabinet, which is responsible for all senior-level appointments in the government. The DoPT secretary gets a chance to deal with the PMO and even the PM more often than his counterparts in other departments. And then, DoPT secretary has a say in certain administrative and policy matters related to important government arms such as Union Public Service Commission (UPSC), Central Vigilance Commission (CVC), Central Bureau of Investigation (CBI), Central Information Commission (CIC) and Central Administrative Tribunal (CAT). 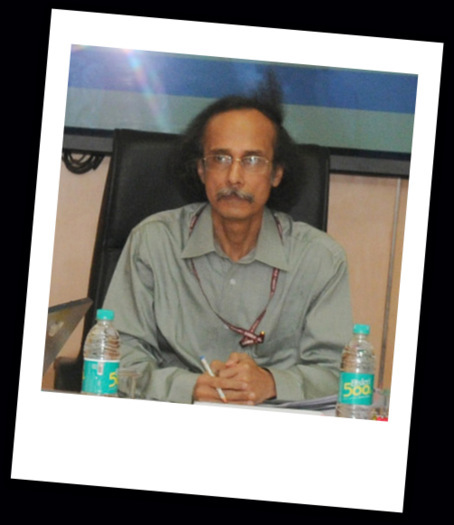 Sarkar is a post-graduate in physics and economics, and has a PhD degree in economics. In West Bengal, he was SDM of Asansol and District Magistrate of Murshidabad. Later, he was a director in department of economic affairs on deputation before proceeding as a consultant in Manila-based Asian Development Bank in 1998. Later in 2003, he became a consultant to the World Bank. And for a number of years, he was out of regular government assignments to work as a fellow in New Delhi-based Energy and Resources Institute, popularly called Teri, which in turn made him an expert in environment, water and energy. 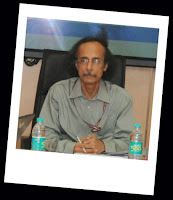 Before joining DoPT as a secretary, Sarkar was the Union water resources secretary. But Sarkar has a good grip over DoPT matters. After all, he served in DoPT for nearly five and half years between 2007 and 2013, first as joint secretary, then additional secretary and finally as a special secretary before he was appointed as Union water resources secretary in February this year. Finally, here are the names of some of the published papers written by Sarkar, a demonstration of his interests and inclination towards energy, infrastructure and regulatory matters. a) Framework for Regulation: The Indian Experience (on energy, co-authored, 1999). b) Framework for infrastructure regulation (co-authored, 2000). c) Reforms in the infrastructure sector-next step (co-edited, 2002). d) Institutional Approach to Regulation and Competition in South Asian Infrastructure Sectors (On atomic energy, co-authored, 2004). e) South Asian Approach to Competition and Regulation (2006). f) Understanding PPP in Infrastructure Services (2008). g) Deepening Independent Regulation in Infrastructure Sectors (2009). h) Competition Policy and Law: An Energy Sector viewpoint (2009).